These days, the mortgage stress doesn’t end once you have received your loan approval. You still have the appraisal hurdle to get though. The mortgage industry, over the last few years, made major changes in this area as well. Lender’s are now requiring the use of a 3rd party appraisal company to order, process, assign, and review the appraisal. This was started to help ensure the accuracy of the values given for any given property during the purchase. Your mortgage company will place a call to you to explain that it is time to get the appraisal ordered. In most cases, you the buyer will have to provide payment and an email for correspondence during the appraisal process. The company, known as the HVCC company, will then assign the appraisal to a local appraiser to complete the appraisal. The appraiser will contact (typically) the listing agent to set an appointment to view the home. This is when the appraiser can look over the homes special features, size, and location of the home under contract. The appraiser will also have to provide comparable homes within a very small radius to use to help support the value the appraiser is placing on the home. I always suggest that the buyers agent try when able to meet the appraiser at the home with comparables or example sales within the last few months to help the appraiser with how you and your agent selected your offer price. The appraiser then has to send the completed appraisal back to the 3rd party/HVCC company for review. In some cases they will require changes during review. 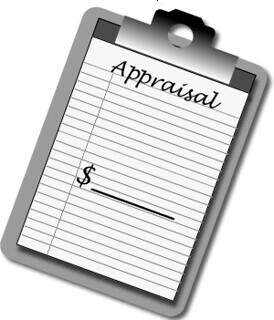 The appraisal then gets released to your mortgage company and to you by email. At this point if you have received your value on the contract, your appraisal will then go to your underwriter. In some cases the appraiser may not bring the value in to support the contract price you have offered to purchase the home. This is when you will meet with your mortgage officer and buyers agents. You are allowed to ask for a review by the HVCC company and provide other comparables if you feel the value was not justified. You also would have the option of trying to renegotiate the value with the seller. I look forward to any questions you may have. You can contact me at Genesis Lending Group 239-246-6000. Posted on September 24, 2012, in Finance and tagged Appraisal, Buy a Home, Buyer, Finance Me, Fort Myers, Genesis Lending Group, HVCC, Kara Holleran, Lender, Loan, Mortgage, Property Guiding, Real Estate Financing, SWFL Real Estate. Bookmark the permalink. 1 Comment.